A lesser-known pinnacle of post-war villa architecture, this house with its cobblestone facades has a sculptural design that lends it a spaciousness belying its smallish volume (500 m3). 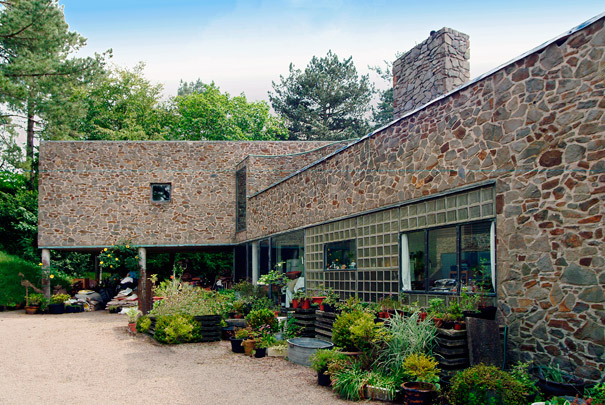 The glass-block wall level with the kitchen is a reference to Maison de Verre in Paris, on which Bijvoet worked with the French architect Chareau. On the garden side is an exquisite indoor garden enveloped in glass and circumscribed by a footbridge of concrete slabs inlaid with glass tiles and hung in a steel frame.